Increase the speed of your patient’s treatment with TRIOS® Digital Impression System. 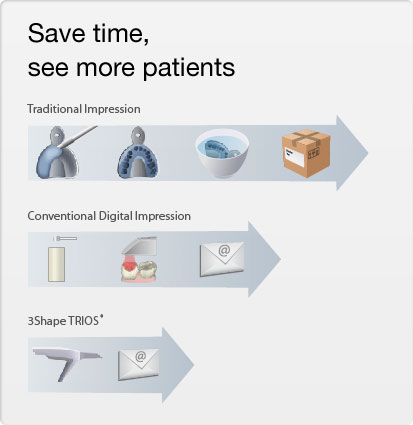 If you’re an orthodontist using the 3Shape TRIOS solution you can now send your TRIOS® digital impressions to us. More and more orthodontists are using 3Shape TRIOS® to take impressions digitally and send their cases online to labs that are setup to receive their scans and service their orders. We call such labs “TRIOS® Ready” labs. As we said in our last blog: patients don’t visit the orthodontist because they want treatment: they visit the orthodontist because they want straighter teeth. 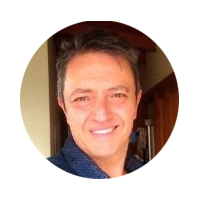 By using the TRIOS® Digital Impression System you are can provide a faster service to your patients. And it’s much quicker to upload digital impressions than send a mould via traditional mail. Because Digital Orthodontics is a Trios® ready lab, you can now upload your TRIOS® Digital Impressions to our portal, making it quicker and easier for you to treat your patients. The technology Digital Orthodontics use allows dentists to try different treatment scenarios before brackets and wires are placed. And with the use of our portal you are able to export and convert digital files to facilitate appliance fabrication. This will make it easier to communicate with Digital Orthodontics and produce results for patients. If you would like to know more about how Digital Orthodontics can help you, please contact us today.